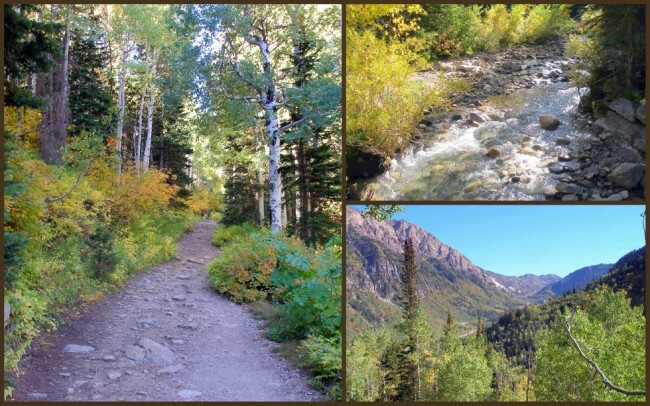 One of the many great things about the Wasatch Mountains in Utah is the extensive trail system, allowing you to see an abundance of incredible scenery, all within a reasonable distance from downtown Salt Lake City. One of the best places I’ve had the pleasure of hiking is Little Cottonwood Canyon. 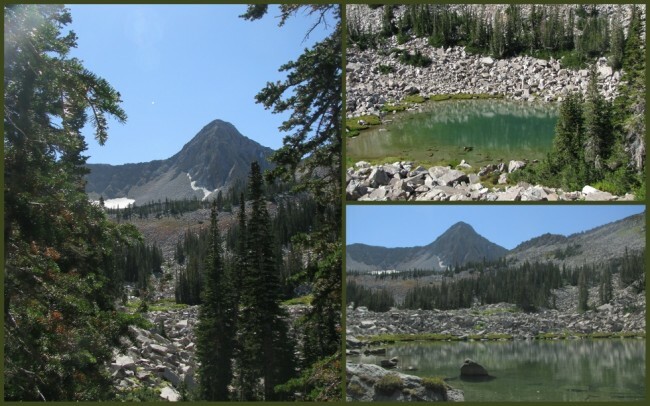 There are two major hikes I’ve done proximal to each other, Red Pine Lake and Maybird Gulch, both offering challenging uphill treks into the always-beautiful high country of Utah. My friend Jeff Campbell and I headed out on a picture perfect autumn day for Maybird, we’d already done Red Pine Lake on an earlier get-together. We drove a while into the canyon, eventually parking at the White Pine Trailhead (7,650 feet above sea level). After gearing up we began our journey by crossing over a small wooden foot bridge spanning Little Cottonwood Creek. One of the fun things about this trail is that it allows you to watch the roadway falling further and further below as you ascend. From this trail you can also look off in the distance and see the world-famous ski resort Snowbird. 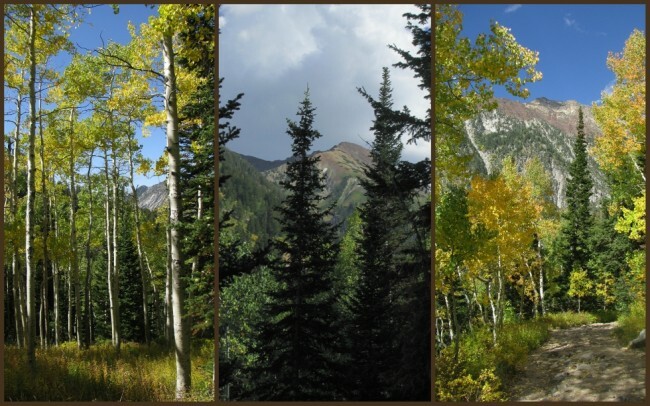 We head uphill, eventually breaking out of the quaking aspens toward the split in the trail that directs us to our destination, heading West. Very soon the path opens up into a series of meadows, giving us fantastic views of several valleys and massive mountains on all sides. We enter a series of switchbacks which takes us up this difficult climb. One nice feature, making this trek worthwhile is a great view of the Pfeifferhorn. Near the end of the hike you’ll find yourself in a massive talus field, working your way over everything from large boulders to skree. This hike is not for the faint of heart near the lake. One wrong move and you’ll be carried down the mountain on a stretcher. Make sure to have good boots, and even better balance. After hanging out for a while we began our descent back to the parking lot. On the way down we saw several big thunderheads on surrounding peaks, and even got sprinkled on a bit. 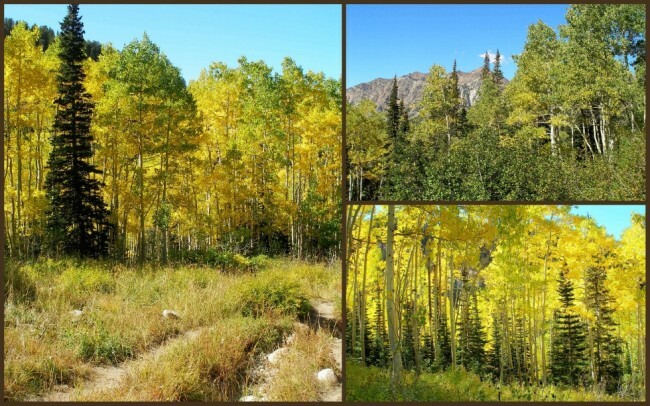 I cannot over-emphasize how beautiful the fall colors were, I’ve never seen the aspens or Gamble Oaks more vivid at any time in my Western excursions. 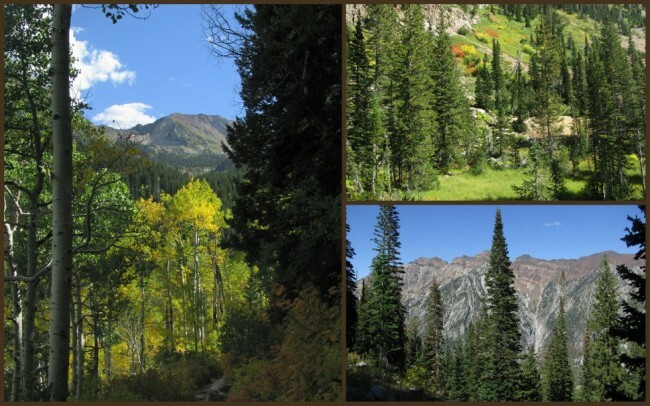 This hike is found within the Uinta-Wasatch-Cache National Forest. 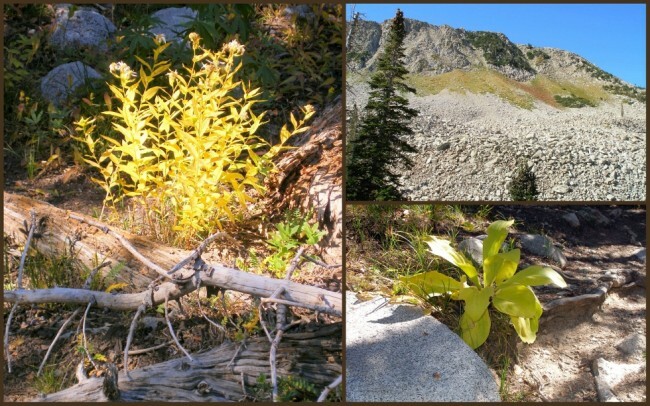 You can reach them at (801) 733-2660 on the telephone or check out their website for the Salt Lake City Ranger District. 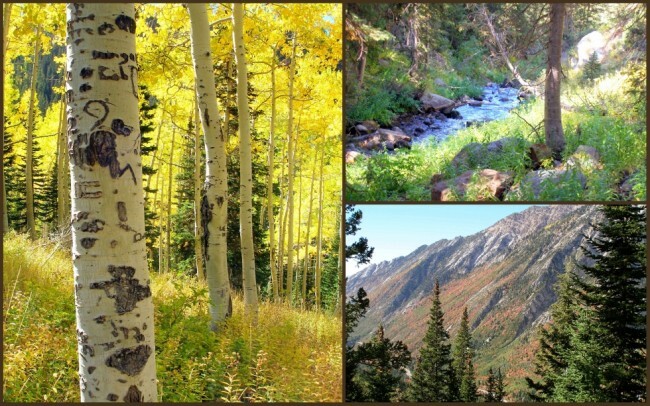 This region is a treat for anyone wanting to enjoy some of the best hiking in Utah. The Forest Service advertises this area as “Where civilization meets the wild”. I have to agree. 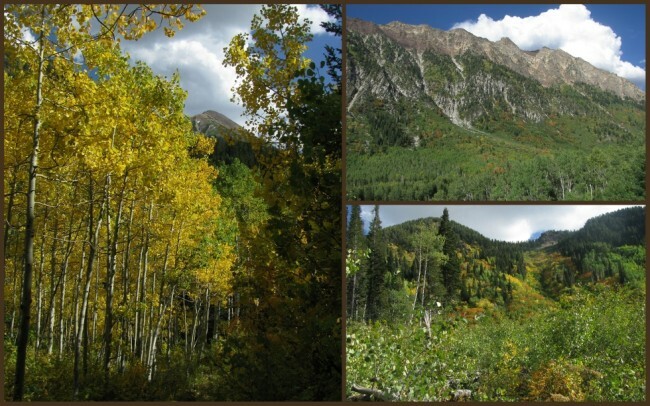 No matter what kind of outdoor recreation you’re into, this National Forest offers something for everyone. In the winter you can ski, play with your snowmobile or snow shoe, in the summer it’s hiking, backpacking, wildlife viewing, photography, hunting or fishing. I consider this place one of the premier recreational spots in the US.